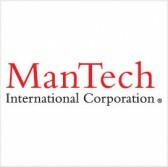 The U.S. Navy‘s Space and Naval Warfare Systems Center Atlantic organization has awarded ManTech International a potential $34 million task order to provide engineering support for the U.S. Naval Observatory. The task order has a 23-month base period with a pair of two-year options, ManTech said Thursday.